What do you do repeatedly, consistently, every day? Is that who you want to be? 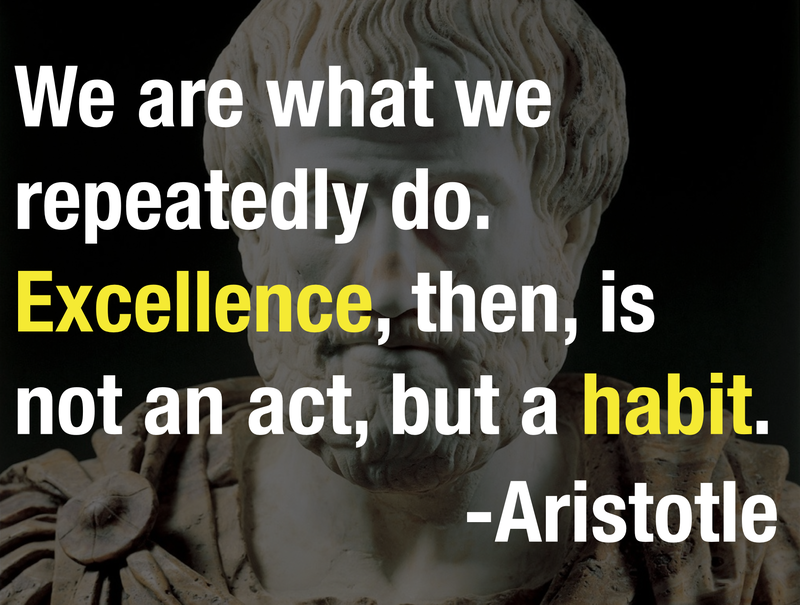 Make excellence a habit. Determine the actions that are most meaningful to you. Writing? Speaking? Reading? Art? Service? Work skills? Giving quality attention to your family and friends? Taking care of your health? Whatever you want to master, make a habit out of the skills required. In the short term, repeated action may have little to show for the effort. But it’s the long game that matters. Patience and consistency will eventually sneak up on excellence. Do the thing you want to do with intention. Build routines around it. Craft your habits and inch your way to a remarkable life.